The Setting—Making God's Word accessible to people in their own heart language is more critical than ever! Nations are being torn apart by corruption, warring factions, and ancient customs of blood vengeance and animism. The Crisis—With escalating violence, millions desperately need the hope and peace found only in God's Word! And there are national Bible translators in these remote regions of the world facing incredible dangers. The Need—How can national Bible translators in remote locations, without electricity or even an internet connection, communicate with translation consultants hundreds or even thousands of miles away when they have questions? The Opportunity—Wycliffe Associates is dedicated to training and equipping national translators who commit themselves to providing God's Word to the people speaking their own heart language—sharing the light of God's Word. We are providing Bible translators with Bible Translation Acceleration Kits (BTAKs), state-of-the-art equipment for safe and effective remote collaboration. Instead of traveling through dangerous terrain to hard-to-reach locations, translation consultants can connect remotely with national translators on-site through this technology. 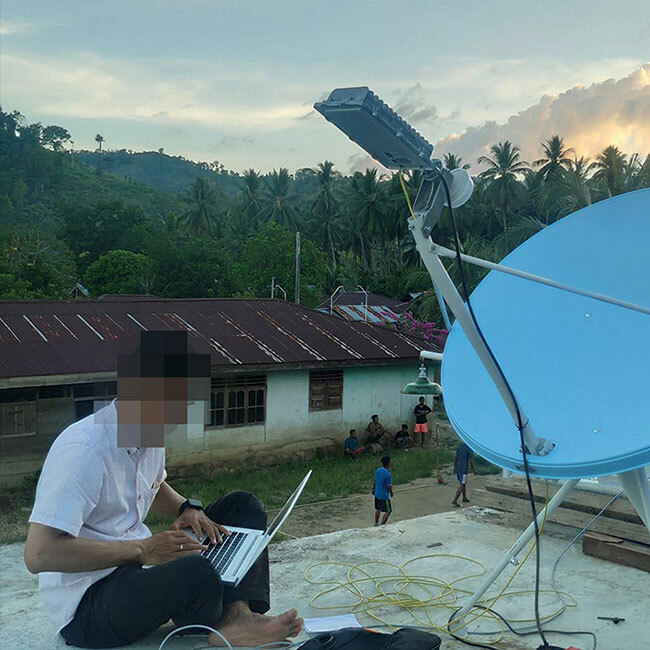 The Cost—Each BTAK may include a laptop computer, satellite communication terminal, solar panel, battery, and power supply. This technology can change lives and save lives! Each kit costs $4,192. Will you pray for Bible translators in harm’s way? Will you give generously to help us expedite Bible translation safely and effectively using technology—like the Bible Translation Acceleration Kits? National Bible translators in remote regions of the world are facing incredible dangers. But they are not alone! Wycliffe Associates is dedicated to training and equipping national translators using new Bible Translation Acceleration Kits.